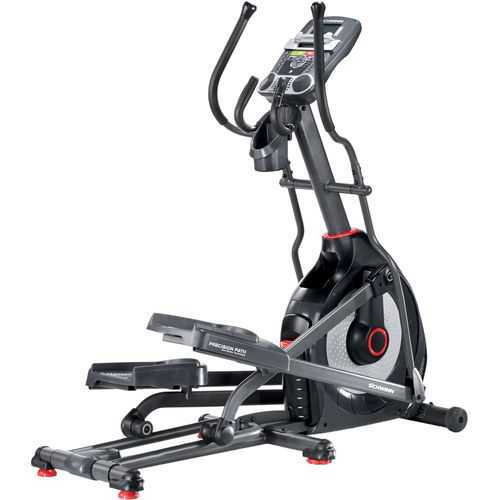 If you are on the search for a quality elliptical trainer for your home gym, then Schwinn 430 Elliptical Trainer can be the ideal choice. This elliptical trainer is the perfect choice for fitness freaks of any level and those who want a solution for low impact workout. Get this machine and you can benefit from an effective cardiovascular workout session that puts into work lower as well as upper body without impacting the joints. Regular use of this elliptical machine can augment heart and lung capacity while burning calories and improving overall health. Elliptical Machine by Schwinn 430 is an upgraded version that makes use of 20 levels of Eddy Current Brake (ECB) resistance. Using this ECB technology has many advantages like quiet operations, no friction, high reliability and little to no maintenance charges. This technology is basically associated with high-end elliptical trainers and considered the best form of resistance. With this machine is associated the experience and trust of the manufacturer. Having more than 100 years of experience in the field of exercise machines, Schwinn Fitness produces an extensive range of fitness equipment like rowing machines, elliptical trainers, treadmills and others. The company offers a range of exercise machines that are perfect to be used at home and avoid limitations that restrict one’s daily gym visits. In addition, the company offers impressive warranty on their products and highly reliable after sale services. On this particular elliptical machine is offered 10 years warranty for frame, 2 years on mechanical and one year on electrical, while 90 days warranty on labor. This solid warranty scheme actually increases the reliability on the products by assuring their solid construction. Using this Schwinn elliptical machine 430, you can expect to burn 1000 calories with much ease – with intense workout – in the time span of one hour. Along with this quick calorie burning, the elliptical machine also provides many benefits of challenging cardiovascular activity session. This type of workout actually enables to keep many health conditions at bay – strokes, obesity, heart attack, and several others. While it offers many advantages, this elliptical machine doesn’t ask for a rigorous maintenance. This is an easier to maintain fitness equipment that can last for many decades with proper care. Therefore, it is a worthy investment that proves in the long run. 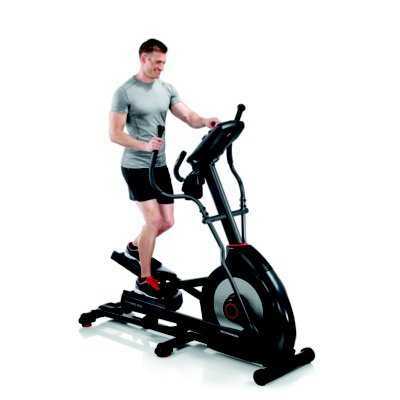 Elliptical Machine 430 by Schwinn is quite easier to use and both amateur and experienced ones can enjoy their workout. The best part is that it delivers quiet workout so that you can enjoy every minute of your workout session. Whether you like watching TV or playing your favorite music while working out, it would not spoil your mood. When it comes to the comfort, you would be glad to learn that it is designed to offer the best. 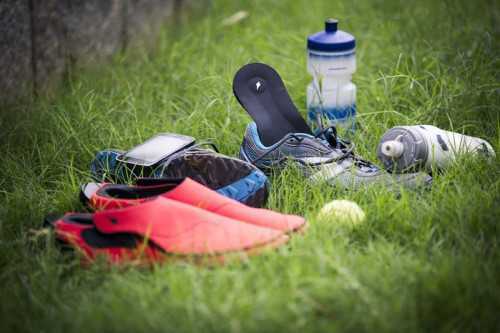 It features a water bottle holder that allows you to place your drinks in the bottles of different sizes. 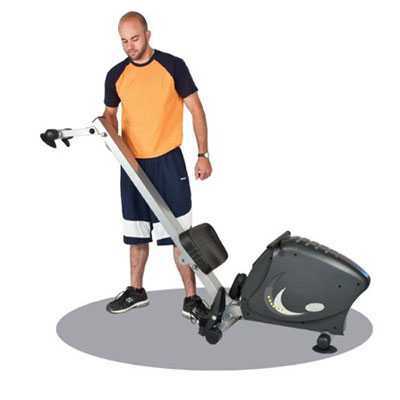 This elliptical machine has got wheels to allow convenience in movement and storage. Despite the wheels you can enjoy your vigorous and rapid sessions as it remains immobile due to the strategically placed levelers at the base of the machine. For additional comfort, it has thickly textured, and wide pedals, and textured arms to provide firm grip when working out. It has dual track LCD display to provide you with important fitness data like elliptical stroke counts, time, calories burnt, heart rate, and other metrics. It has also got a USB port to charge mobile phones, tablets, etc. 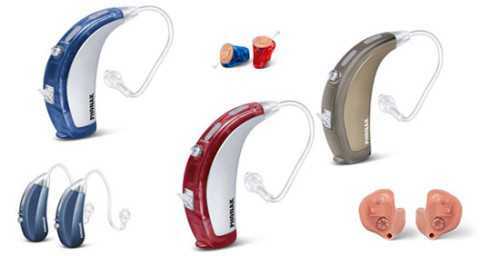 In addition, it also features intuitive controls, six-position systems, and manual ramp featuring ten-degree adjustment to let you push your limits. Some of the users feel that this machine should be slightly less in weight to be more comfortable and enjoyable. However, it may be due to the sturdy construction of this machine. People have also concerns regarding the display which is not backlit that makes visualization a little tedious in dark. Elliptical Machine by Schwinn 430 is a great fitness machine for an enjoyable fitness session at home. With plenty of pre-set workout program, it offers professional level activities without having to spend on gym membership. Along with its sturdy construction, it is also cheaper than its counterparts. Furthermore, it is compact in design and easier to store, and trusted by users with an average rating of 9 out of 10. This is what other users have experienced so far. What’s your experience with the machine? Pen down your thoughts with free spirit.